Carl G. Jung (1875-1961) was a Swiss psychiatrist who is known as the founder of analytical psychology. Early in his career, Jung worked closely with Freud, but later went his own way after developing new theories about the deep unconscious. Freud considered religious expression to arise from neurotic “illusion”. By contrast, Jung considered it to arise from the psyche’s inner drive toward a healthy balance of individual consciousness and the collective unconscious. The collective unconscious, or objective psyche, is shared by all humankind. This instinctual heritage includes certain definite patterns, or archetypes, which govern the way symbols and psychic images are processed. Studies of dream and myth show these same patterns from all cultures and all eras of human history. Recognizing these archetypal patterns is the key to understanding dreams and the process of individuation. The process of fulfillment, or “individualization,” is the striving toward a personal unity of consciousness and unconsciousness. And, it takes place over the course of a lifetime. 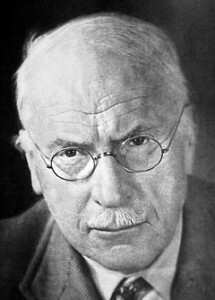 For more information on Carl Jung, http://www.en.wikipedia.org/wiki/Carl_Jung. We could be all one. There’s a front door, back door, side door, screen door, basement door, and pet door. How about a storm door, trap door, closet door, garage door, and shed door? Then there’s a revolving door, sliding door, French door, and Dutch door. And don’t forget Christian Dior, the pompadour, and the rock band the Doors. 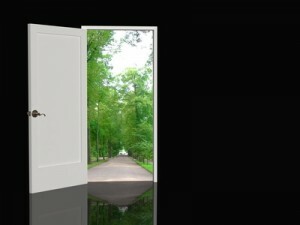 What would the world be like without doors? Would we become one big room? It boggles the mind, doesn’t it? A Confession. When I feel stressed, I become hyper-focused to the exclusion of much around me. When I first opened the Atlanta office of Fleishman-Hillard, one of my staff came into my office with an ear-to-ear grin. He was so proud of himself. He had scheduled an appointment for me with a new business prospect with a particularly large budget. The potential client was on her way to our office to check us out. When she arrived, I briefly noted that she wasn’t dressed in typical business attire (I am not sure when I last saw fish-net hose in an office. ), but my attention was on winning her business rather than her apparel. We settled in the conference room, and after some small talk I asked her about her organization. A portable stereo appeared from nowhere, and before I knew it, she was taking off her blouse. I was so focused on the potential new account, I did not realize that I had been had. My staff had hired a “strip-o-gram” for my birthday.